For serious online vendors the choice of e-commerce platforms can be overwhelming. There are so many different proprietary and open source options available. The following list describes some key e-commerce platform features that you should use to compare your options. You need to be able to give visitors the option of which language to use and also give yourself the option of which language is easiest to run your store. You might also want to allow the option of future expansion into other language markets. You almost certainly would want to display different promotional graphics depending on the language choice. A good e-commerce platform will maximize your sales opportunities by showing visitors other products which they should also be interested in. Visitors often only have a general idea what they are looking for. Research has shown that sites that allow visitors to manipulate the display of products are more successful at selling. 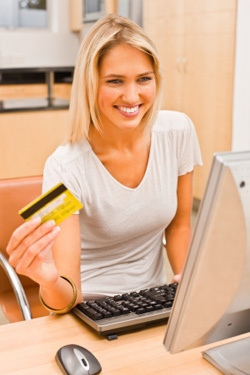 Customers love sites that help them to make well reasoned shopping choices. A good e-commerce site will help visitors by comparing products in their shopping cart side by side, feature by feature. Tagging has become a standard form of web browsing behavior and a great way for visitors to explore other product offerings in your store. Research has shown that visitors will place a lot of weight on the opinions and comments of other buyers from your store. It can be one of the most influential factors in improving your conversion rates. You will probably want to approve comments before they are published to your website. Visitors are often turned off by lengthy checkout procedures. It is important that they at least understand the total number of steps required and any other important requirements for completing the sale. Visitors like to see large, good quality images of products before they buy. Ideally you don’t want to have to re-load a new web page every time a visitor clicks on a thumbnail. This becomes tedious. The results can also help you make decisions about which products to promote. You should be able to send a different message to the visitor depending on language options and other variables. Repeat customers are an important part in the success of any business and having the ability to create and manage newsletter promotions from the information in your customer database is a great tool. The price of individual goods may change depending on other conditions. For example you might want to offer a “buy 2 , get one free promotion”. Discounts based on the number of “points” accumulated are a common aspect of modern retailing. Some visitors may not be comfortable with entering their credit card details online so its important that your e-commerce platform allows flexible payment processing. ATM bank transfer is very popular in Japan so this might be an important consideration for vendors targeting the Japanese market. Sometimes visitors may mistype a word in the Search box. For example, a search on “latop” (misspelling of laptop) might return “no results” in a simple Search form. An “intelligent” search form on the other hand could be configured to redirect commonly misspelled words or suggest results for similar search terms. Google Analytics is a fantastic free tool that gives store owners a fine grained view of who your visitors are, where they are, how they found your store, what they are looking at, how long they spend on your site, which Pay Per Click campaigns are converting best and many more insightful details. Its important that you have a way of creating custom landing pages that support specific Pay Per Click advertisements. Generic landing pages will not convert to sales as easily. more smoothly integrate other online features like a user forum or a blog in a way that appears seamless to the visitor. which add them to mailing lists for products you don’t want! The best solution is to have a form that visitors can use to quickly get in touch with you. separate invoices or separate shipments. Also you may need to issue credit notes and refunds. A sophisticated platform should handle all of these things. Depending on the buyers location you may or may not need to apply sales tax. For selling to countries like the USA their may be different rates depending on the state. It will greatly help your management decision making if you can filter and export the data you need into a spreadsheet for in depth analysis. Most good e-commerce platforms allow you to setup stock control options such as not displaying products which are out of stock or sending an alert to the store manager when stock volumes of certain items become too low. In addition to things like sales and order quantities, a good platform will tell you things like the who are your most frequent site visitors, what are the most common search terms within your site, most viewed categories, newest customers and so on. More and more people are using social bookmarking tools and social networking tools like Twitter and Facebook. It is an important benefit if you can integrate these mediums into your store interface. This is a popular credit card type in Japan and not all payment gateways offer processing services. For vendors targeting the Japanese market this should be an important consideration. Within your organization you do not want all people to have access to everything. It’s important to limit admin access to only what people need. Often store owners will want to offer volume discounts or first time buyer incentives. Language options and currency options do not necessarily go hand in hand. Buying gifts for friends/family is often a chore. But more people are using wish listing to make life easier. Important for people who want to send gifts to others. To help boost your rankings in the search engine result pages and create enticing description snippets it is important to customize key elements of your pages like TITLE and DESCRIPTION meta tags. If you already know your customers shipping details and credit card info, make it easy for them by simplifying the checkout procedure. Not all of these features will be relevant for every vendor but most of them should be.